Just a few kilometers from Turin, in Chisone Valley there is the starting point: the Pourrieres hamlet. From Turin we left then Pinerolo and then main road to Sestrieres. 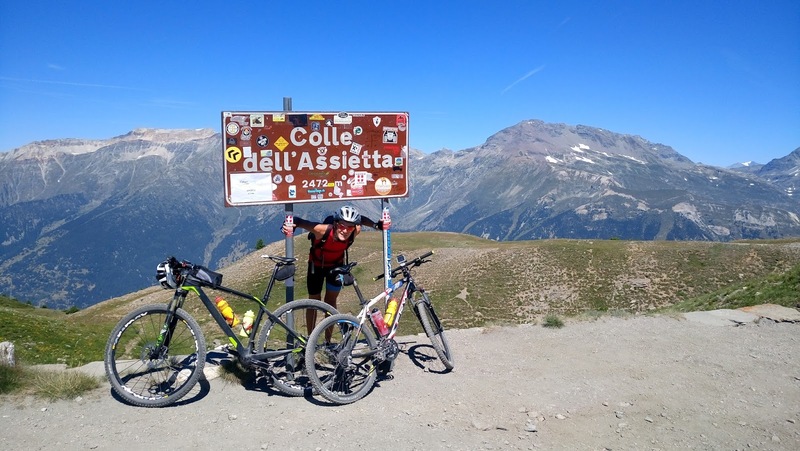 Shortly after Fenestrelle you will reach the Cyclist Parking near the Pourrieres hamlet where you park comfortably and where you start climbing to the Colle delle Finestre. It is a route of considerable altitude difference (especially for those who choose the Cima Ciantiplagna variant). The route initially follows the descent from the Colle delle Finestre, also used during a couple of mythical stages of the Giro d'Italia. Until Pian dell'Alpe the road is asphalted and there is no difficulty (slopes between 6 and 11%), it is interesting and pleasant to cross the lovely town of Balboutet with a fresh water fountain very useful to face the path that awaits us. From the village it continues towards Pian dell'Alpe (1.900), where the dirt road starts from the easy technical route (up to the Colle dell'Assietta 7-10%). The route is very characteristic on a dirt road with good road surface with wide views of the Chisone Valley and the surrounding reliefs. In a moderate steady climb, except for a distance of about 2 km in falsoplane, you make a long cross along the slopes of Cima Ciantiplagna and the Top of the Vallette, climbs fast altitude with some bends at the margins of the Gran Serin and you reaches Colle dell'Assietta (approx. 2,472 km, after 9 km from Pian dell'Alpe). For the more sporty people there is a viable alternative, but it is definitely more tough: that is to continue on asphalt up to the above Colle Delle Finestre with the stone in memory of the passage of the 19th stage of the 88th Giro d'Italia on Saturday 28 May 2005, when first crossed the top he was Danilo Di Luca from Abruzzo. Once you reach the top of the pass, climb to the fort on a small pedestrian path and from here you reach the old "high" military of the Assietta passing through the Fountain of Mourou and the Colle della Vecchia (2439). Walk on the very panoramic military road with beautiful glimpses and aerial passes and beautiful views and reach the fork on the Ciantiplagna path (wooden signpost); 100 mt. about portage and you're on top 2848! 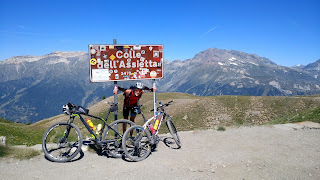 The descent brings us back to the fork from where you continue on the military for the Colle delle Vallette and the Gran Serin Barracks; from here continue on the road and near a hairpin to sin. under the Gran Serin find a path that allows you to reach downhill and easily the Colle dell'Assietta. From the hill a further altitude rise for 1 km leads to the Testa dell'Assietta (2.544 ac, maximum for us day), whose monumental stele can be easily reached within a few seconds. The route then continues slightly downhill for 3 km at Col Lauson (about 2.500) and then further 3 km to the next Col Blegier (about 2.380). The road continues now with a short (1.5 km) and challenging climb to Monte Genevris (2,510), then the fast descent to the bends and long crossings to the Colle di Costa Piana (about 2,330 after having traveled 3 km from the Colle Genevris) followed by a 2.2 km uphill to Col Bourget (about 2.310) and after a further 4 km, at the end of the Assietta road, the final climb (last effort of the day) reaches the Colle Basset (about 2.470) panoramic ridge between Val Chisone and Val di Susa. 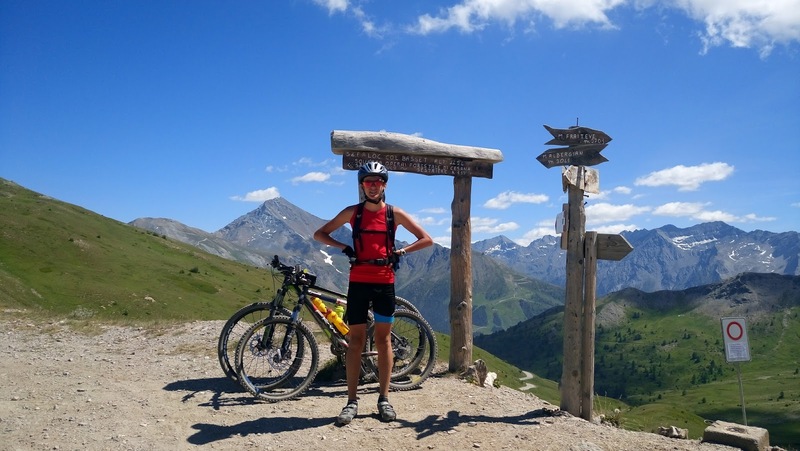 The ride on the watershed between Val di Susa and Val Chisone is over, we are tired but happy to have had the chance to see spectacular mountain landscapes on a day featuring the perfect weather. From Coll Basset begins the fast descent for about 5.5 km on dirt road towards Sestriere. The descent from the Colle del Sestrieres continues along the Main Road although there is a valid alternative along the dirt road of the Legendary Escape, but we are tired and we do not feel to face a couple of miles of dirty road with ups and downs ... for you sportsmen however know that there is an alternative route. 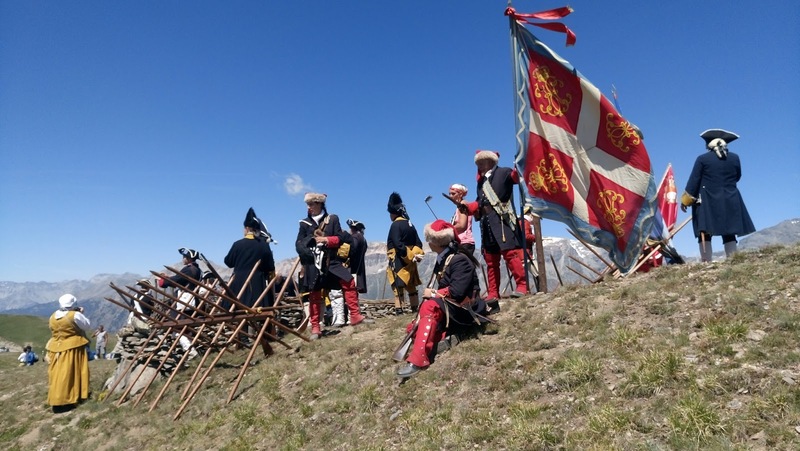 Performed: July 16, 2017 with Gabriele on the occasion of the Piedmont Festival with the historic reenactment of the battle fought and won against the French in 19 July 1747. Unfortunately, on the occasion the road is busy and you eat a lot of dust. If you want more tranquility, be aware that the road is forbidden to motorized traffic on Wednesdays and Saturdays during the summer.